From Academic, to Research, to Public, to Private Collections…. Libraries Need Furniture that Works! 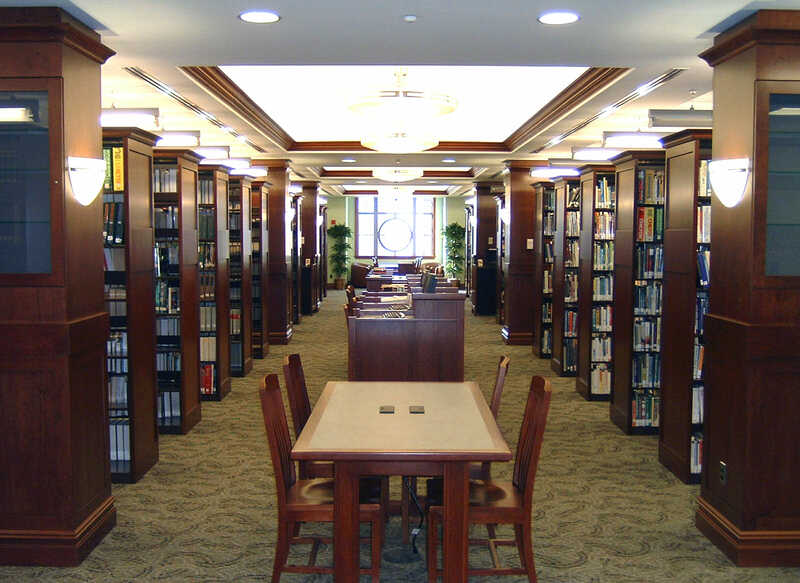 We offer library furniture solutions that are cognitive to your specific environment. Looking for library shelving options for your book collection or periodical storage needs? We offer complete lines of library furniture, supplies, and shelving. Library shelving systems need to make the best use of the entire space available. With a library filing system, books and other records can be kept more efficiently. Discover the finest library storage systems and furniture solutions on the market today right here with a no obligation analysis of your storage needs. Cantilever Library Shelving offers a flexible shelving solution, known within the library industry for its ease of adjustability and our cantilever shelving is perfect for any book stacks or multi-media storage solutions in libraries. Compact library shelving systems are perfect solutions for K-12 school libraries, university libraries and public libraries. Library compact shelving is especially ideal in archive storage areas. Mobile library shelving or stationary shelving can be customized to fit your specific storage needs, whether you are storing books, multi-media, periodicals, newspapers, magazines or even photographs. Today’s public libraries also cater to the public need for Internet access and more. Compact library shelving is fully customizable to meet your shelving needs. 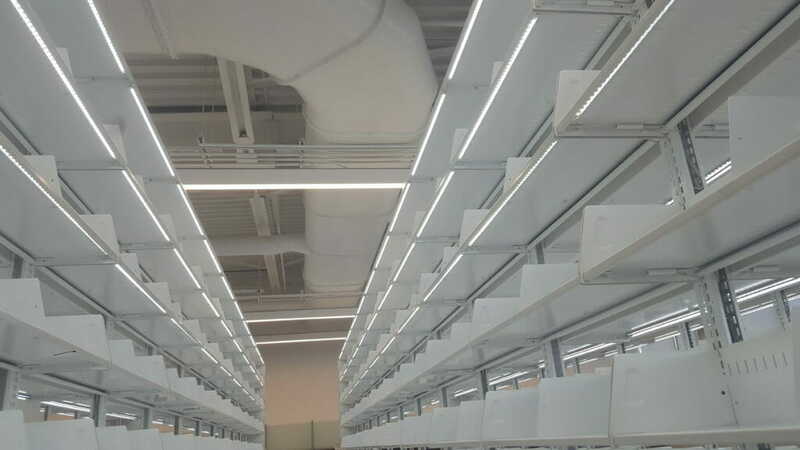 Library shelving systems provide numerous advantages. What suits your needs better? Is it a manual, mechanical assist or electrically powered shelving system? We have set the standard in the industry with our shelving and furniture products for libraries. We offer library furniture to suit your changing furniture requirements. 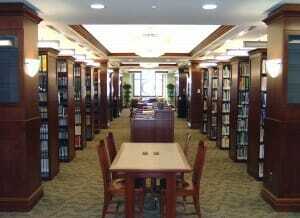 We count many of the most prestigious libraries, schools and universities in the area as long term satisfied clients. Call and find out for yourself what a proper audit of your library furniture and shelving storage needs can accomplish for you. Call for a free consultation. We would love to bring you on a site visit to one of our many installations. Your Library Patrons & Employees Will Thank You!